As a native Floridian, Tim Mokwa grew up catching snakes. For him, they were just part of the landscape. "We used to catch snakes on purpose and have a contest to see who could catch the most when we were kids. You know, you mow your parents yard and you saw snakes around," Mokwa said. But, seeing a snake pop its head up from the hood of your car in rush-hour traffic is a far cry from mowing the lawn. It's not exactly what Mokwa was used to. 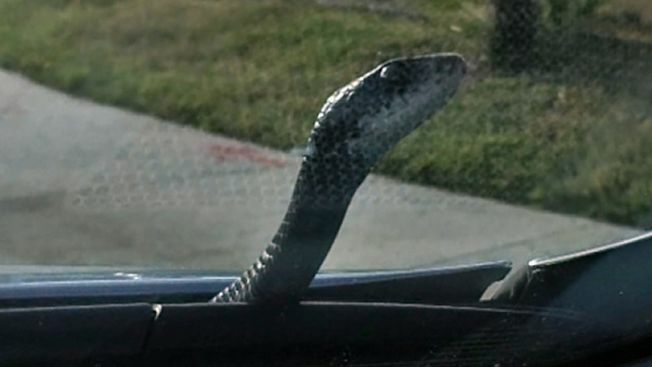 The 37-year-old got the shock of a lifetime Monday evening along US Highway 19 when a six-foot snake began slithering through his engine and up onto the hood of his car. Read more on this story at WFLA.com.